H.M.S. 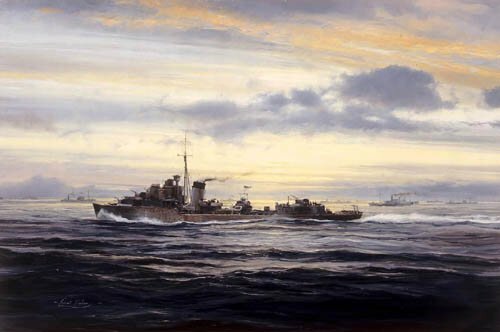 Kelly steams at full speed to intercept a U-Boat which is bearing down on an essential and otherwise vulnerable Allied supply convoy. The tension among the supply ships' crews, tempered by the strong faith in their protectors, is almost tangible.